Find yourself at home with a Vive project. Use the map to view our projects or scroll down to see the full list. We will connect you with the property manager to see if they have a spot for you! 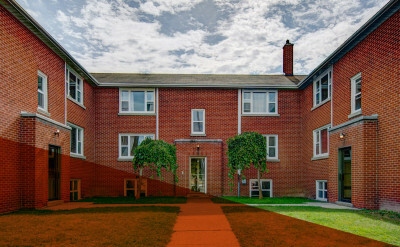 The Millwood Brownstones is a modern collection of urban townhomes nestled in the desirable neighbourhood of Doon South. 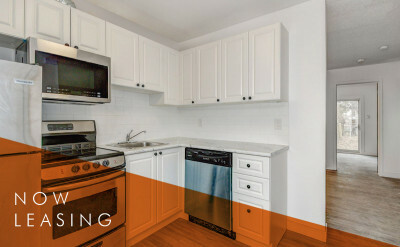 Each suite has been fully renovated featuring new designer kitchens, bathrooms, and beautiful bright living spaces. With professionally landscaped grounds, indoor bike parking, and a community courtyard area, you’ll feel at home in this desirable community surrounded by nearby amenities. An adaptive re-use, loft conversion of a mid-century, mid-rise apartment on the edge of both the St. Mary’s and Victoria Park heritage neighbourhoods. 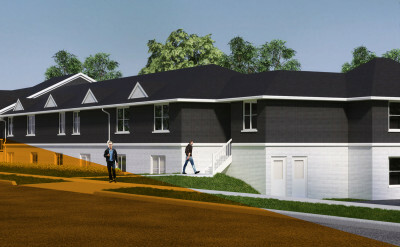 A loft inspired community nestled in among the Iron Horse Trans Canada Trail and Woodside Park. 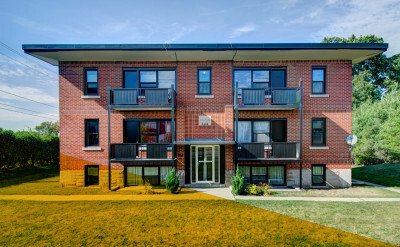 The Woodside Terraces overlooks the Kitchener Lawn Bowling Club and tennis courts at Highland Courts Park and is walking distance to all the restaurants, cafes and entertainment in Downtown Kitchener. This community is well served by transit, walking trails and is minutes away from the Conestoga Parkway. 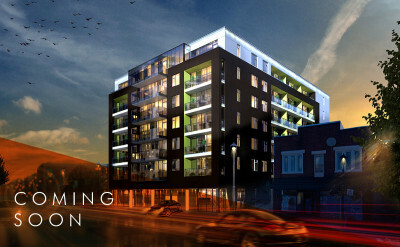 Next door neighbour to one of Canada’s oldest operating farmers’ markets, The Mark Flats will offer Downtown living at it’s finest. 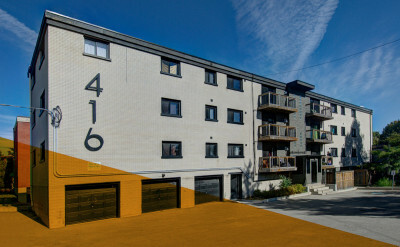 A modern take on urban development, residents can enjoy attainable downtown living, with access to fresh local produce, a lively restaurant and entertainment scene, and easy access to the LRT. 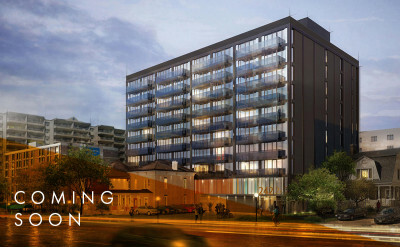 A modern Miesian addition to one of the oldest street in Kitchener – Queen Street South, this high rise building will offer the community an attainable downtown living experience, while sharing the streetscape with two important homes in the Victoria Park Heritage landscape. Let’s re-vive and re-imagine the “Royal Corner”! 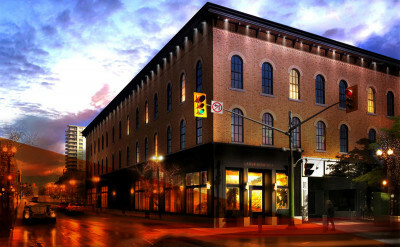 Built by a founding member of our Region, Louis Breithaupt in 1862, the former American Hotel is set to breathe new life, offering office space to local companies and incorporating new storefronts to add to the heart of the city at the corner of King and Queen. Under the creative direction and in partnership with Brett Paulin Design, Vive Development has found its new home in Lower Kitchener – at the Gateway to our community. 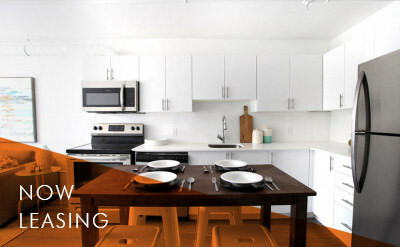 Located in the up and coming King Street East neighbourhood, Vive takes pride in operating from the same core neighbourhood that it continues to love! 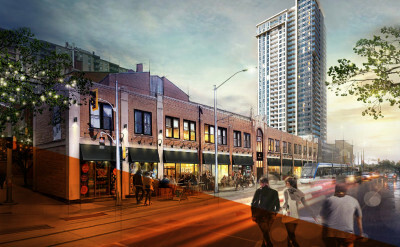 Re-envisioning the Duke Food Block is top of mind for Vive Development, bringing a hip new outlook to the space. 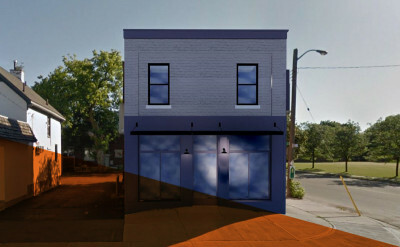 Sitting across from the soon to be re-designed Vogelsang Green at Duke and Queen, DFB offers lunch options for DTK businesses, with plans to create a vibrant evening and weekend scene in the near future! 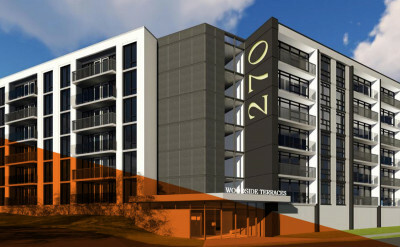 Nestled among the Iron Horse Trans Canada Trail and Woodside Park, Woodside Terraces is set to grow in Phase 2 of the development plans. 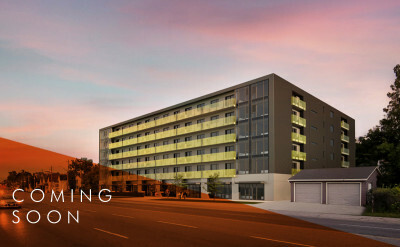 An addition of 90 units will complete this building, integrating a beautiful new lobby, and amenity spaces for residents. This new build will incorporate the modern finishes used to re-invent the original building, continuing the fluid, mid century modern nature of the project. Mid-century charm meets modern day amenities. 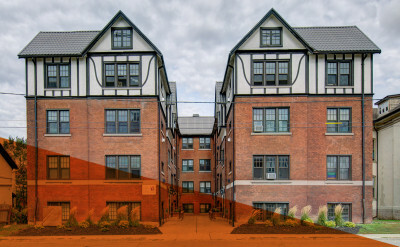 This stately red brick community was originally built as four intimate buildings forming a community within Belmont Village. This project features clean, modern interiors and spacious balconies. The Highmont is only steps away from grocery stores and coffee shops is located on a trail leading to Victoria Park. A lovingly restored early mid-century community that has been renovated top to bottom in the desirable Eastwood neighbourhood. 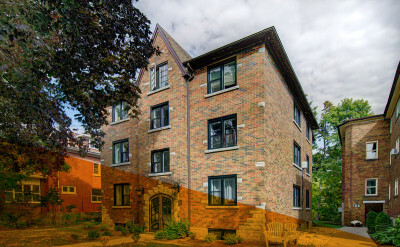 The Brownstones on Brick is walking distance to all the restaurants, cafes and entertainment of both Lower and Downtown Kitchener. 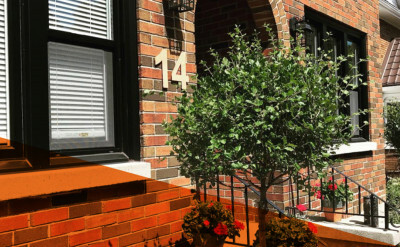 This community has quick access to the 401 and is well served by ION light rail transit. 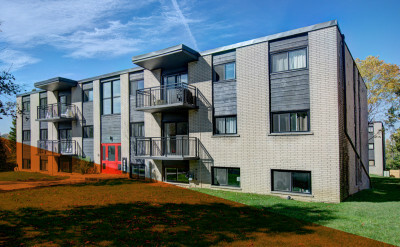 An intimate collection of restored mid-century suites and new construction in the desirable neighbourhood of Bridgeport West. All suites have built-in gas fireplaces to make you feel at home. 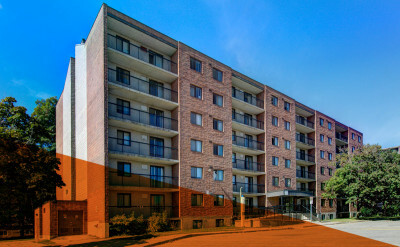 “The Six” has excellent access in and out of Kitchener-Waterloo via the Conestoga Parkway.